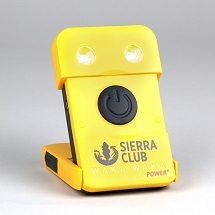 A high-powered LED flashlight with a tactical head, adjustable focus, and six lighting modes (high, mid, low, strobe, and SOS) and a retractable 5W COB side lantern. 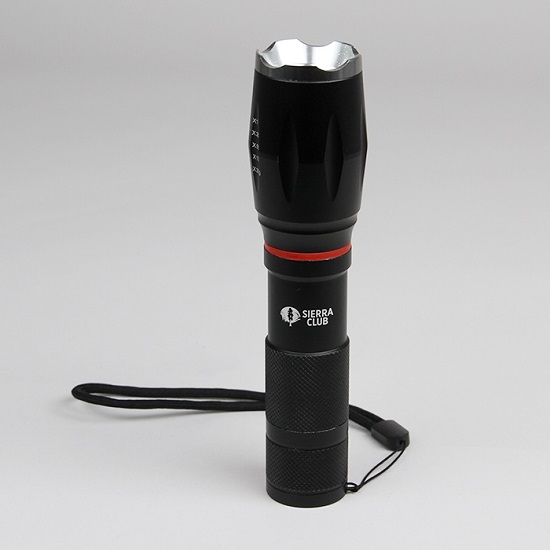 This durable aluminum alloy flashlight has a magnetic base for hands-free use, an anti-slip grip, and a tether strap. XML-T6 LED bulb, 320 lumen max. 1-1/3” W x 6” H (7-1/4” H fully open).